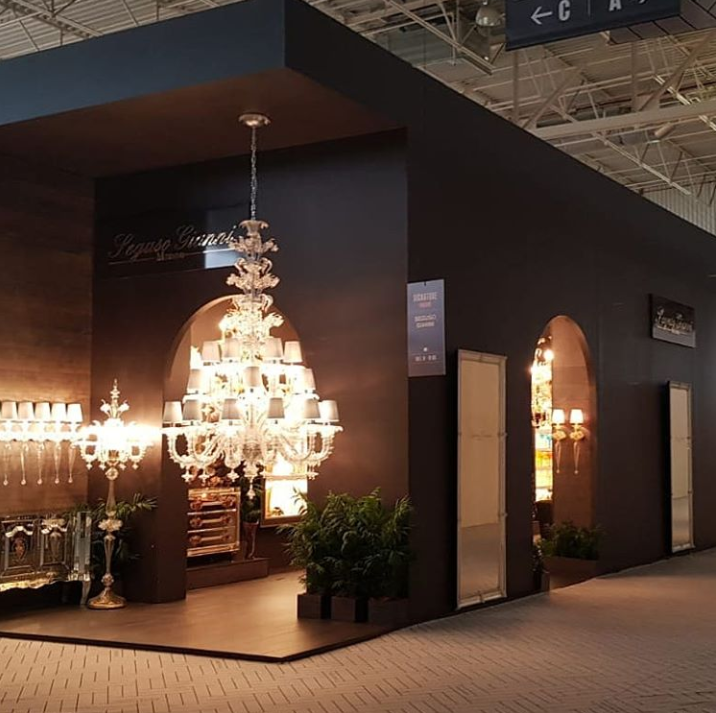 Maison et Objet 2019 entailed beautiful home decor and inspirational interior design once again! 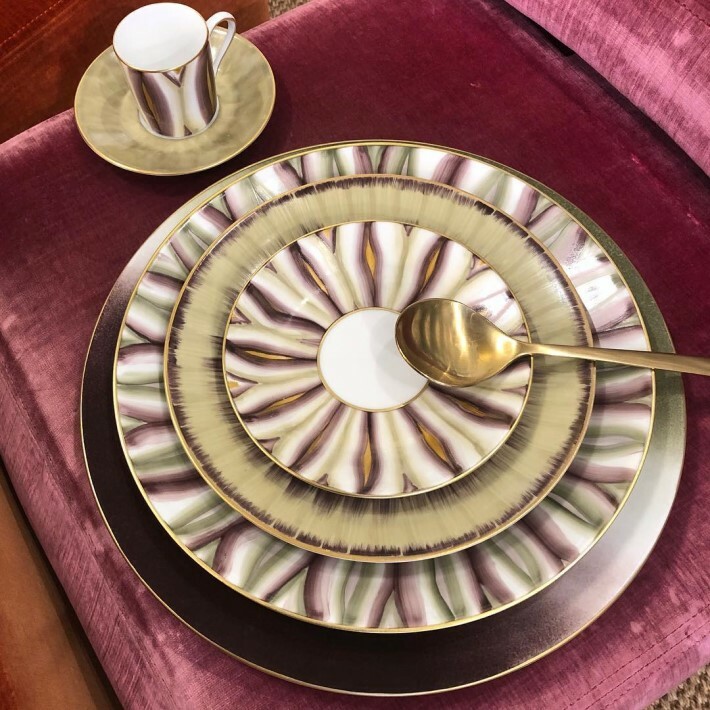 But now that Maison et Objet is all wrapped up and we have regretfully departed Paris, the Love Happens team has been left reminiscing over the astounding luxury dinnerware and tabletop decor seen at this year’s show. 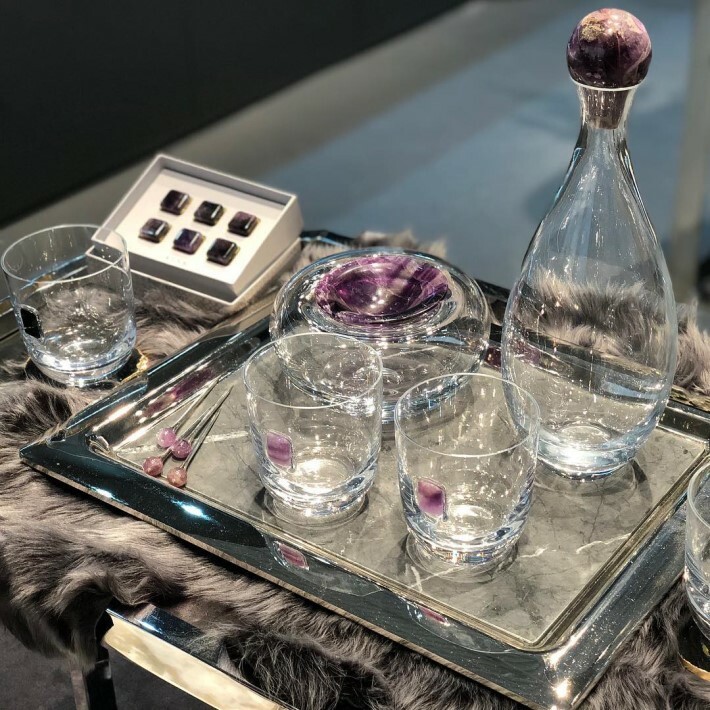 So read on to discover some of the most memorable and stunning displays of luxury dinnerware and tabletop decor showcased at Maison et Objet 2019. 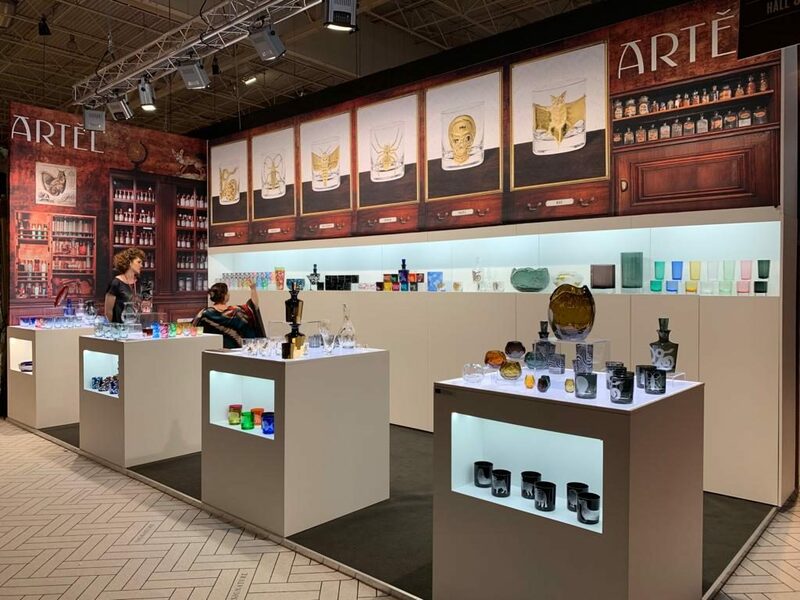 L’Objet made a grand appearance at Maison et Objet 2019, hosting clients in two separate stands. 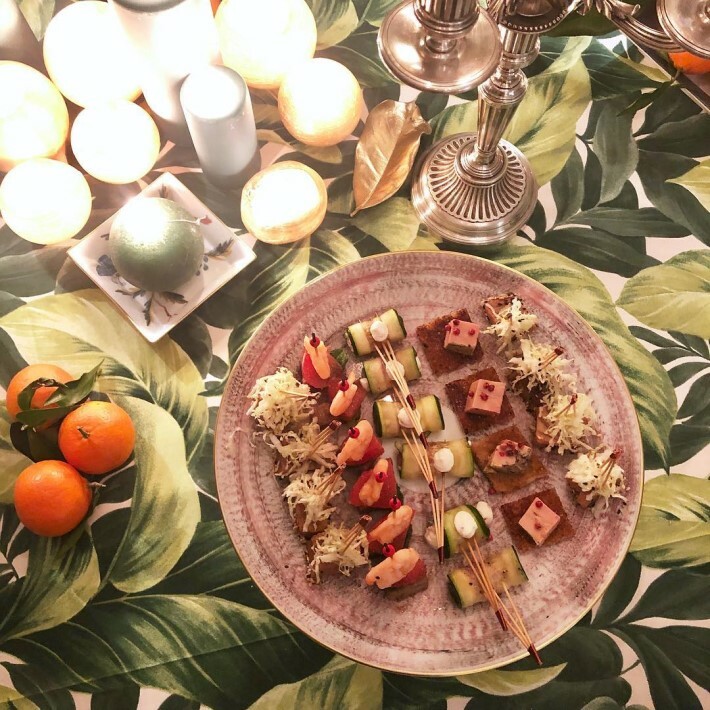 The first was a display of their contemporary twist to classic tabletop decor. 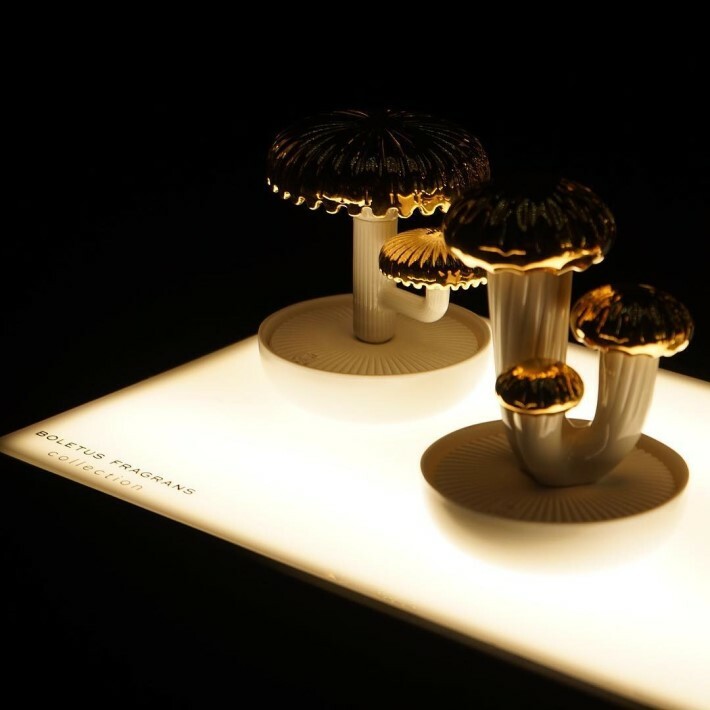 The second stand was a collaboration between L’Objet and Haas Brothers. 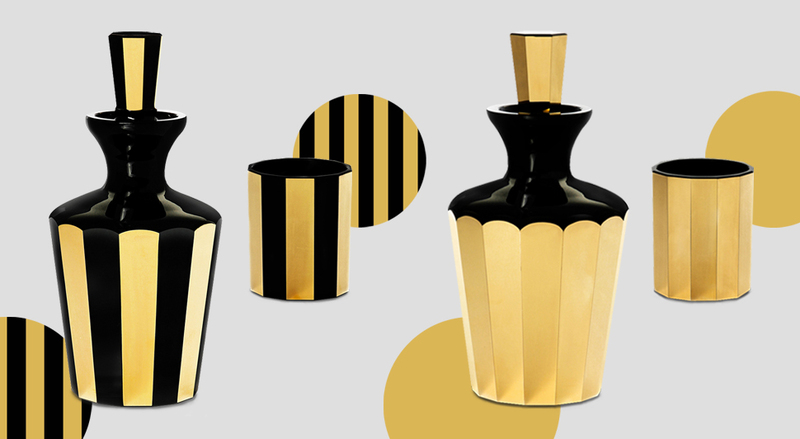 They joined forces to create imaginative tableware, home decor, textiles, and fragrance. 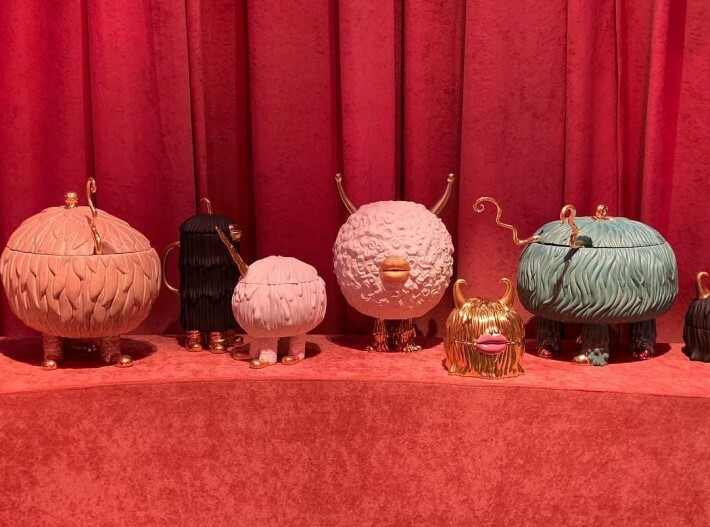 In creating these products their mission was to construct fanciful characters that are meant to make everyday moments memorable. 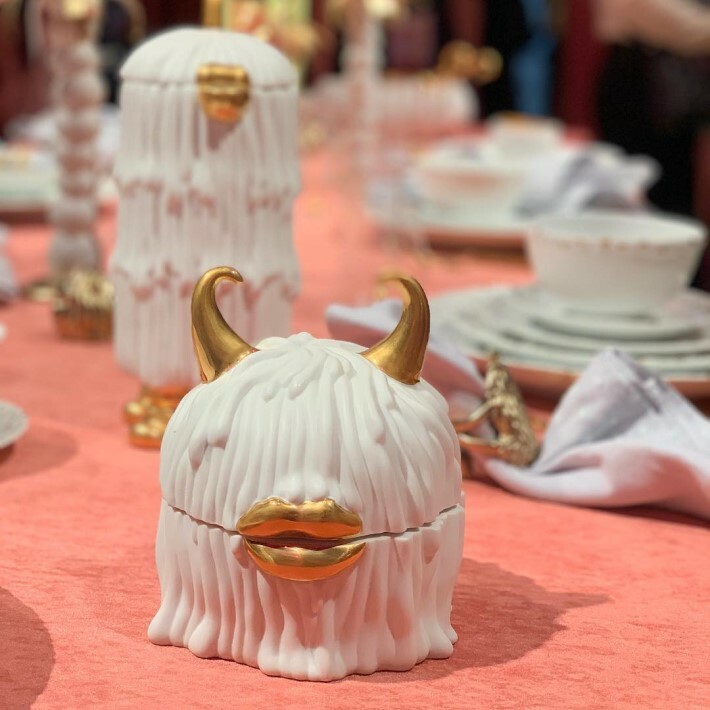 One of our favorite brands at Maison et Objet 2019 was Marie Daâge! 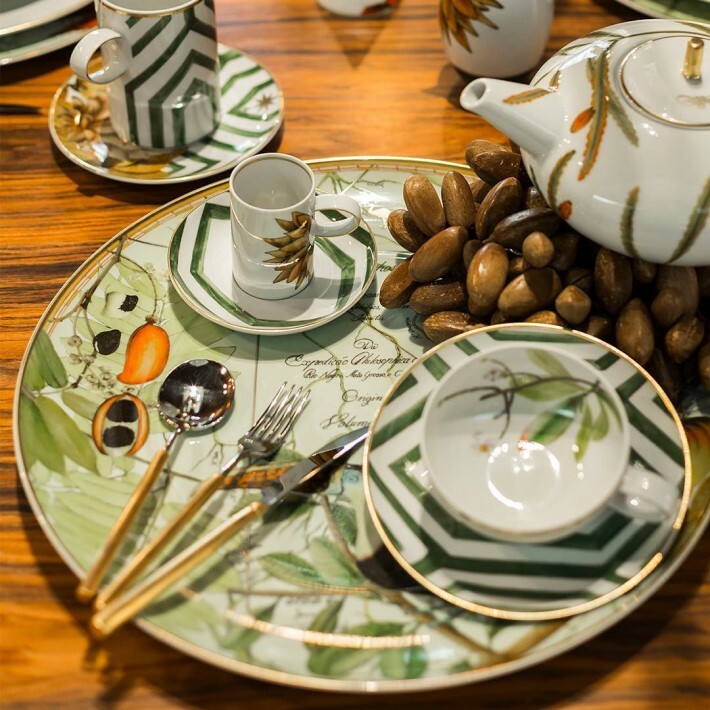 Self-proclaimed as “La Haute Couture de la Table”, Maria Daâge is truly an artistic master! 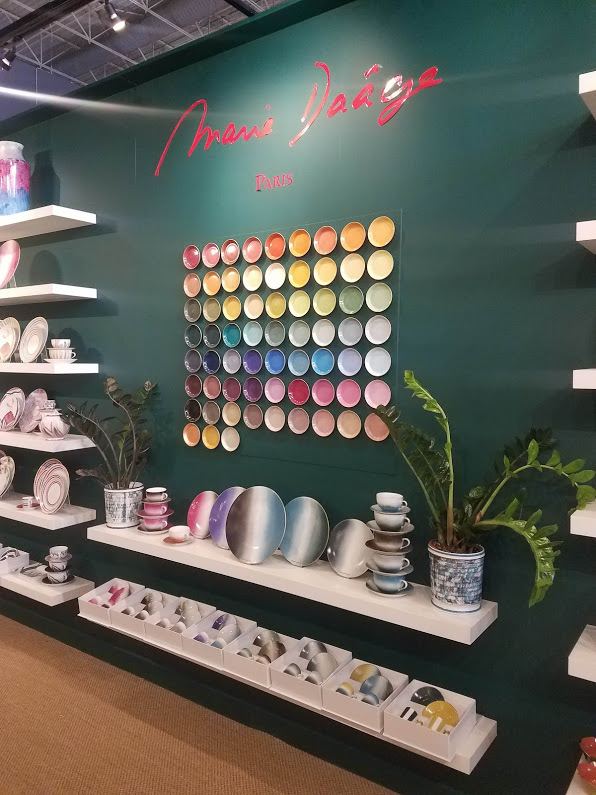 We LOVED exploring their stand filled with colorful, creative, 100% hand-painted and fully customizable dinnerware. 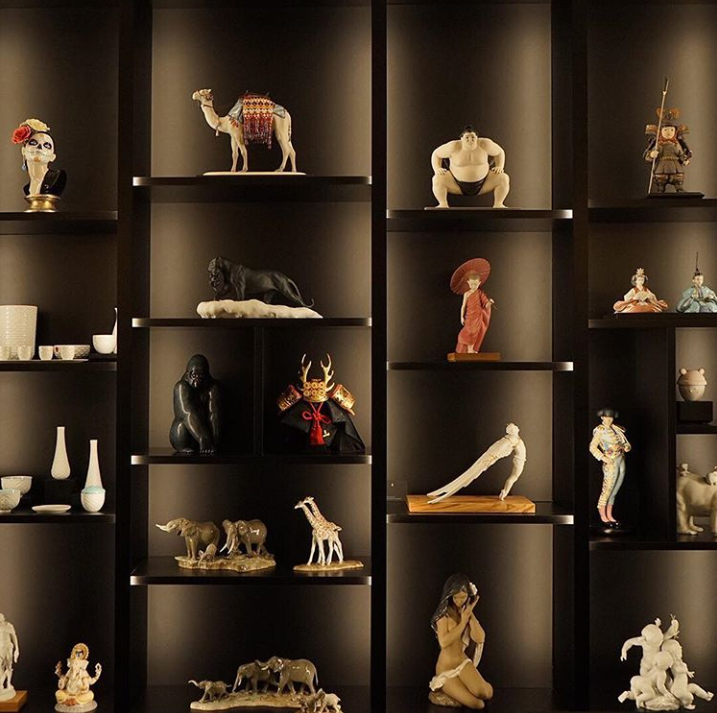 Each stunning work of art is made with the utmost care and attention to detail in the porcelain renowned Limoges region of France. In addition, some of her stunning creations even incorporate luxurious 24k gold filets. Be still our hearts! 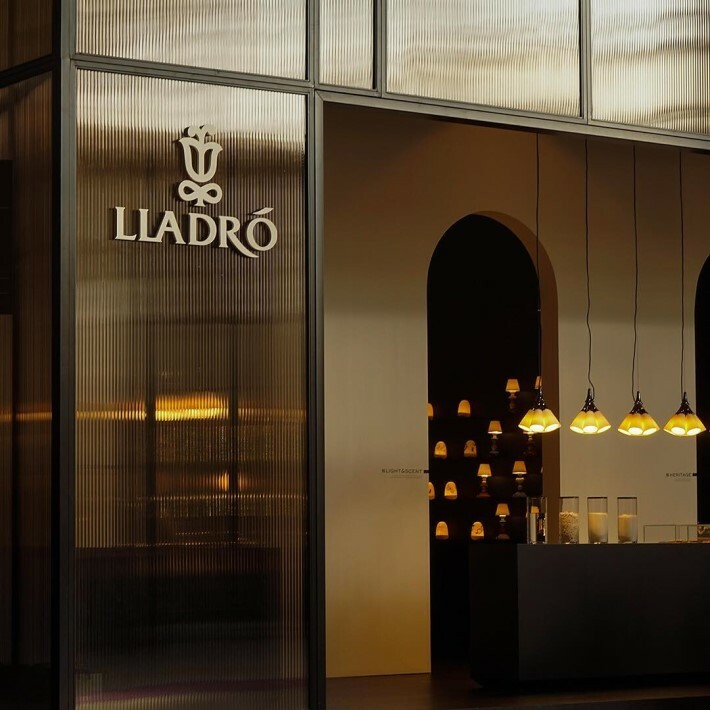 The luxury Spanish brand Lladró showcased their beautiful handcrafted porcelain lighting, home accessories, sculptural tabletop decor, and figurines. Yes please and thank you is all we have to say! Stunning! 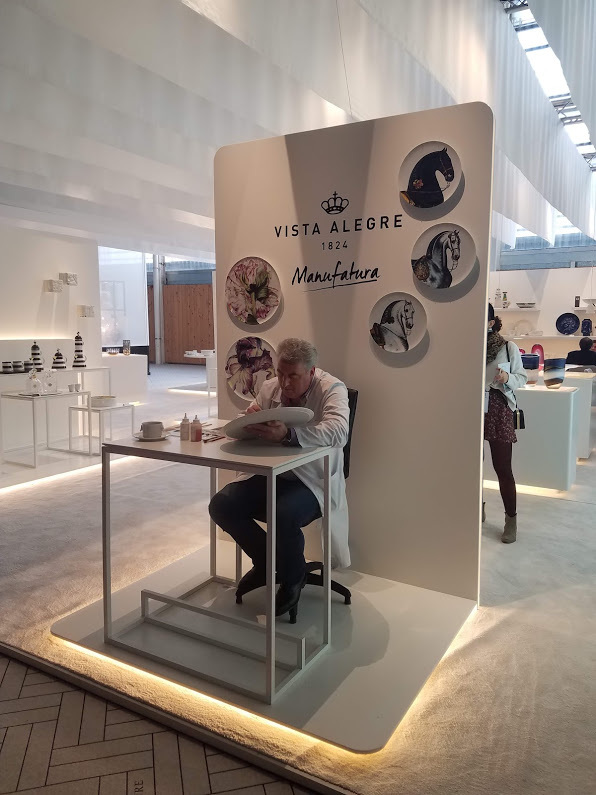 Vista Alegre drew a crowd by exhibiting their brand’s masterful traditions. 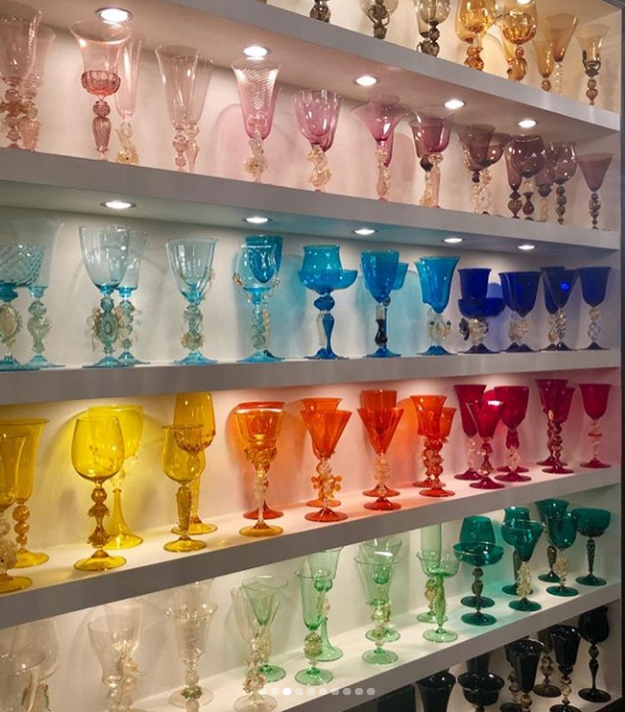 Consequently delighting potential clients with their elegant tableware and chic home decor. 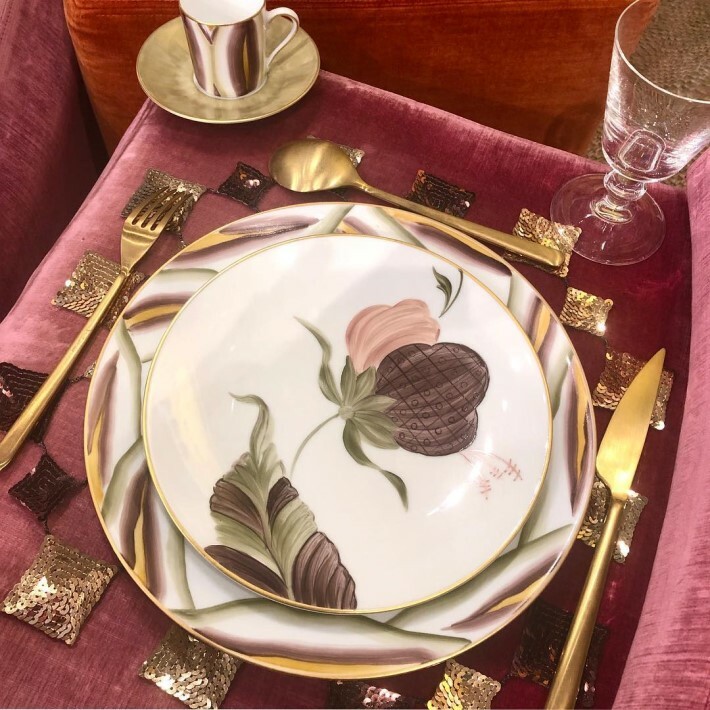 But what really made them memorable was that in their booth, Vista Alegre’s Portuguese inspired unique luxury dinnerware at Maison et Objet 2019 was being created right in front of their audience’s eyes as a painter stayed and painted tableware throughout the entire show. 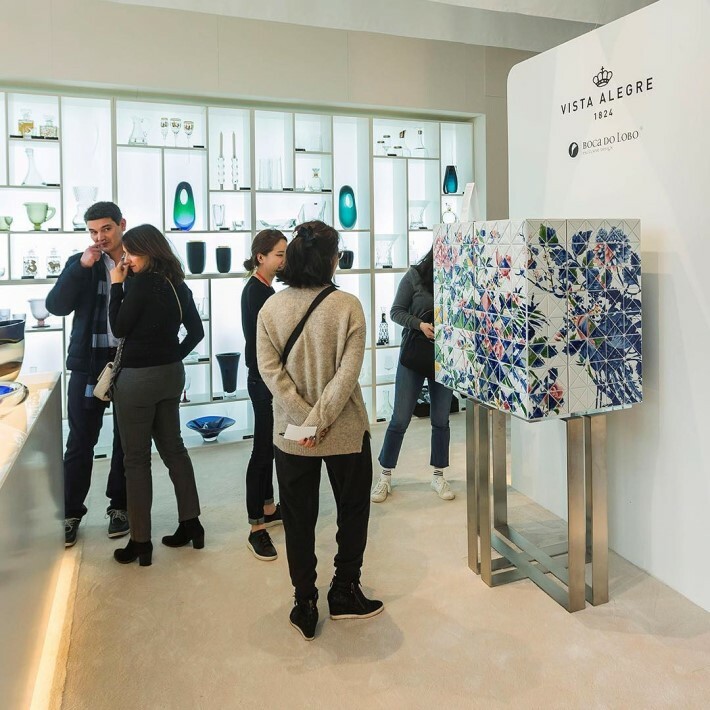 Vista Alegre presented their new 2019 collection at Maison et Objet. 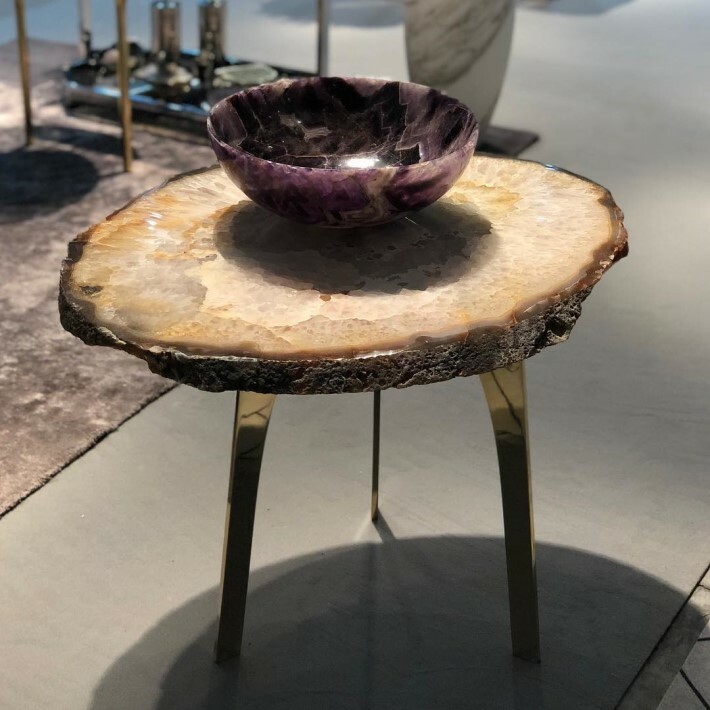 This year’s collection is characterized by a major focus on social responsibility, and by the entry into a new product segment–that of exclusively designed furniture with porcelain and crystal elements. “Amazōnia” was the featured collection. Vista Alegre joined @ecoarts_amazonia to create a collection about the Brazilian Amazon, sharing the vision of those who know the forest from up close with the world. Part of the profits from Amazōnia will revert to the planting of native fruit trees in cities, rural areas and indigenous villages. Furthermore, a tree will be planted for every sold piece. 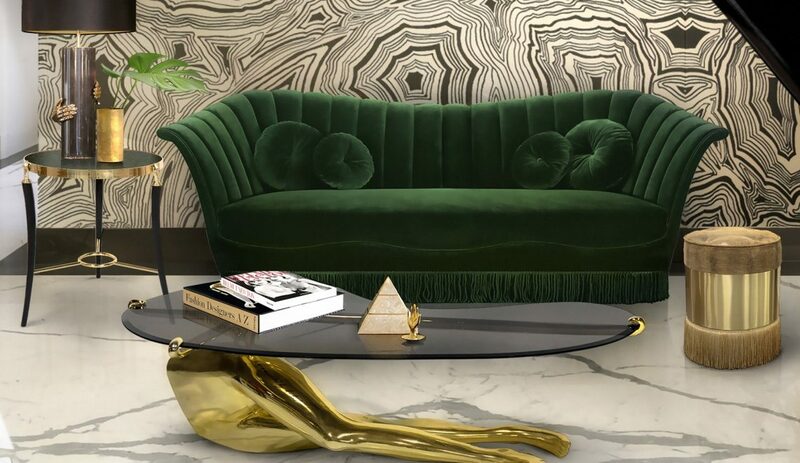 The “Once Upon a Time…” Cabinet, limited to eight numbered copies and created in a partnership with the Portuguese brand @bocadolobo, marks Vista Alegre’s entry into the exclusively designed furniture segment. 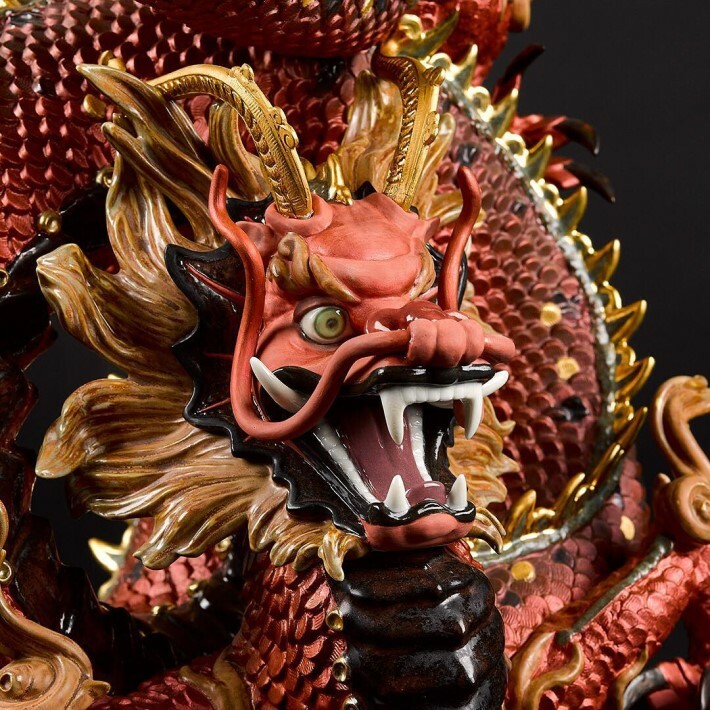 The piece is covered by 1090 small porcelain triangles, which were hand-painted by Vista Alegre’s manufacturing team and required 500 hours of delicate and rigorous work by three of the brand’s most experienced painters. 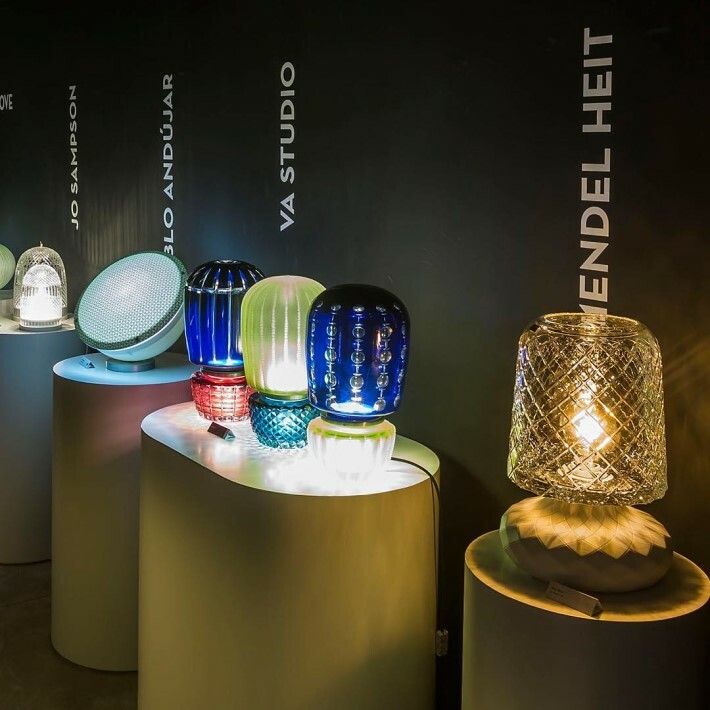 Vista Alegre’s innovative lamp collection had six new models unveiled in Paris. These were designed by VA Studio and by the prestigious designers @ross.lovegrove, @arik_levy, and @josampsonstudio . 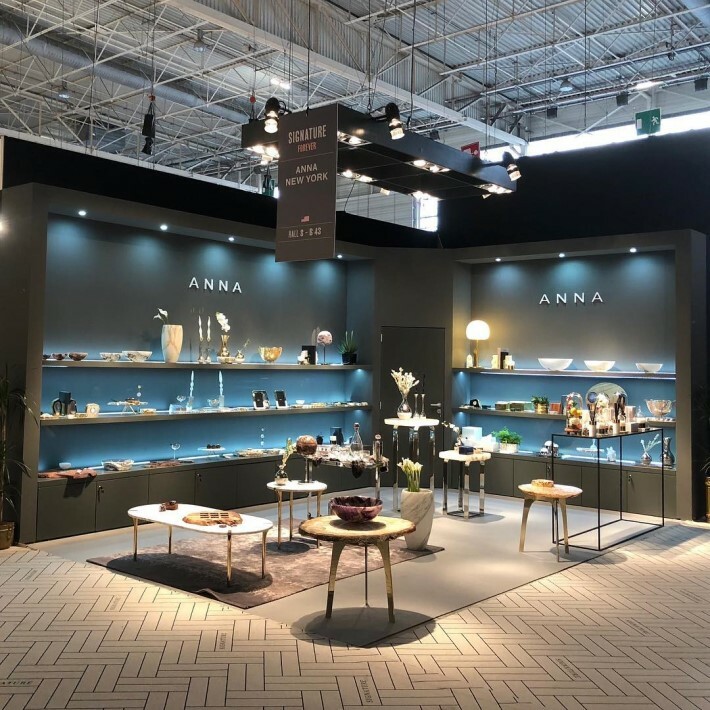 New York-based brand, ANNA, incorporates ancient natural materials such as marble, semi-precious gemstones, and gold into their products. 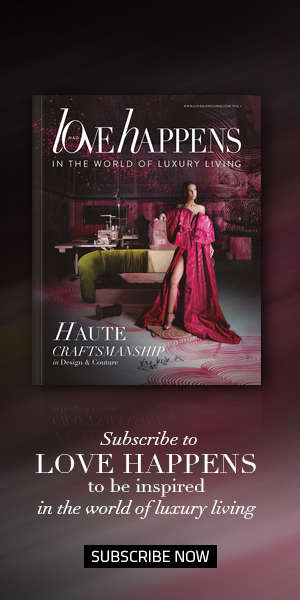 As a result–stunning classic yet cutting-edge designs which beautifully merge nature and luxury come to life. 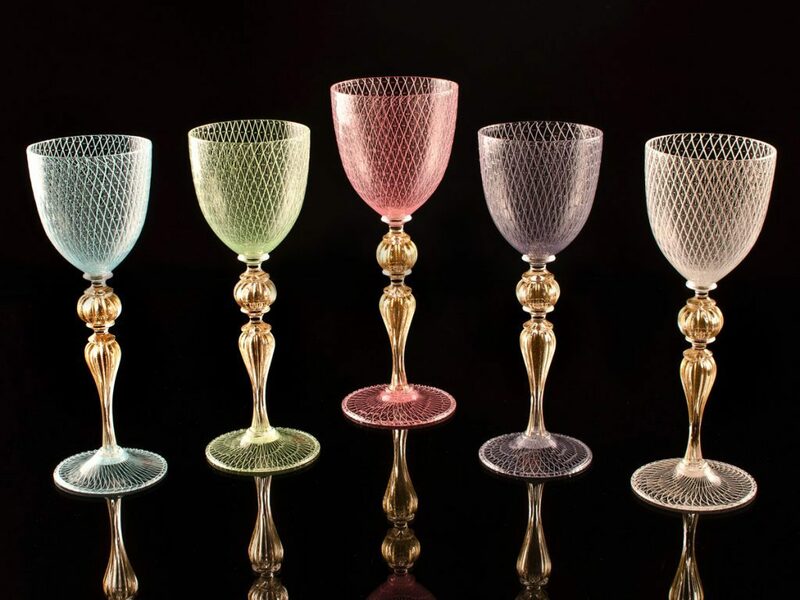 The Prague-based ARTEL Glass’ mission is to portray the beauty of nature through their handcrafted Bohemian crystal luxury dinnerware. 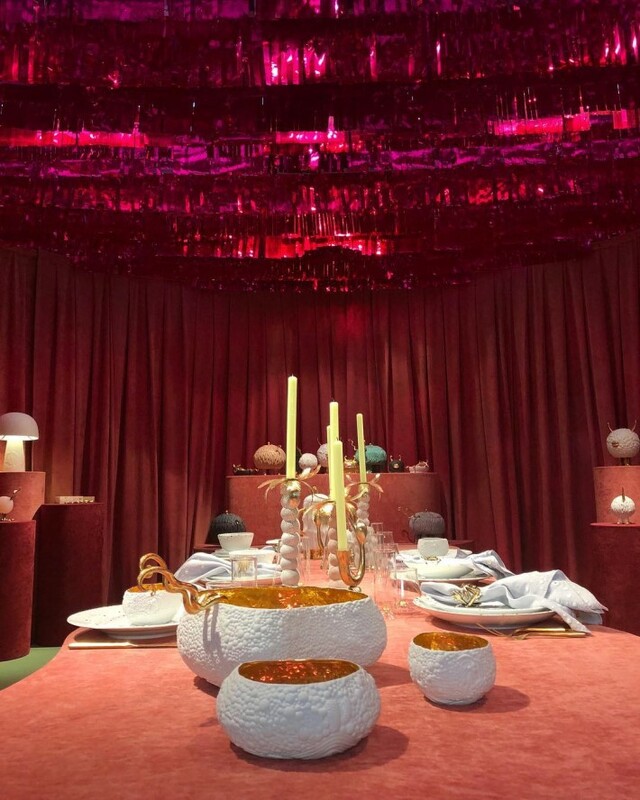 And at Maison et Objet this winter they did just that! 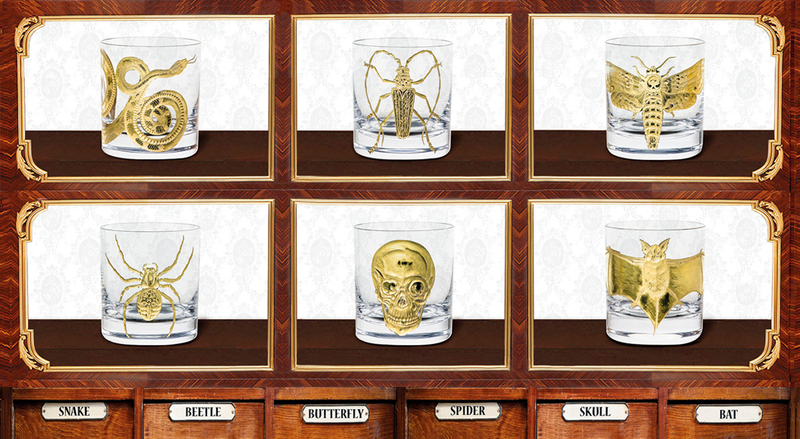 Showcing their mission through their glamorous Cabinet of Curiosities Gilded Collection. The collection places the spotlight on a variety of insects, animals, and objects that are usually hidden in the shadows but are now brought into the light by the brilliance of gold. 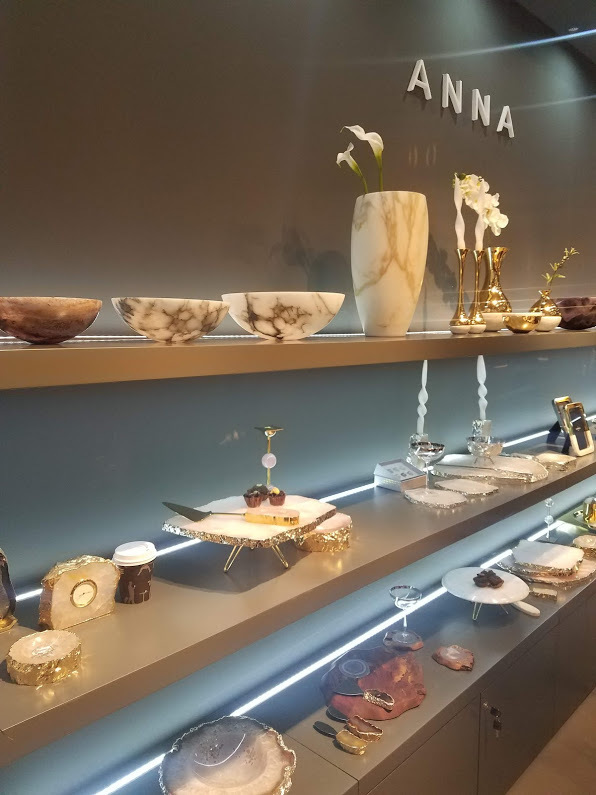 Certainly a longtime favorite of Love Happens, the Venetian luxury Murano glass brand Seguso Gianni showed their beautiful creations at Maison et Objet as well. All though often known more for their glorious Murano glass lighting, Seguso Gianni’s collection of luxury glassware is truly exquisite!